The end may be near for Boardwalk Empire. Series creator Terence Winter tells TheWrap that he and the writers will soon be discussing how long the HBO TV series will continue. 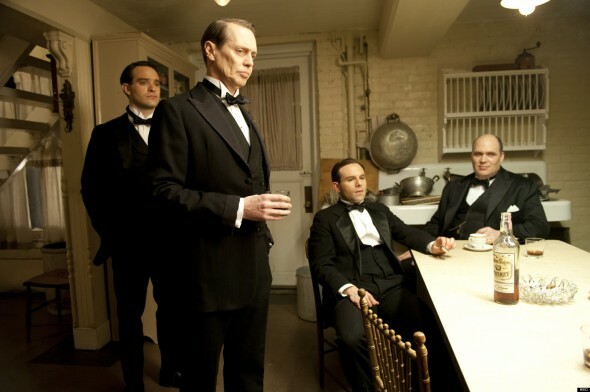 HBO has already renewed Boardwalk Empire for a fifth season which will air sometime in 2014. What do you think? How long do you think that Boardwalk Empire should continue? Why not go out with a superstorm? this how is very early in the story line. if you know the history you know this. and it’s a book. and they aren’t that far into the book . so i don’t know what this guy is talking about. they could do 10 seasons if they want. all i can say is he’s tired of the show and want’s out. he made his money. this is pathetic. At least a couple more seasons, the show has had it’s ups and downs, but it’s still a fine show. I guess the question of how much more story there is left to tell is valid. I got on board from get go because Martin, and I’m not much of a fan of anyone else on the show. In front or behind the camera, I’m just surprised they are already talking about it. It’s not like the show is in trouble.